Founding member Butch Trucks passed away on January 24, 2017. Butch lives on in our hearts and in the music he changed forever. We love you, Butch. 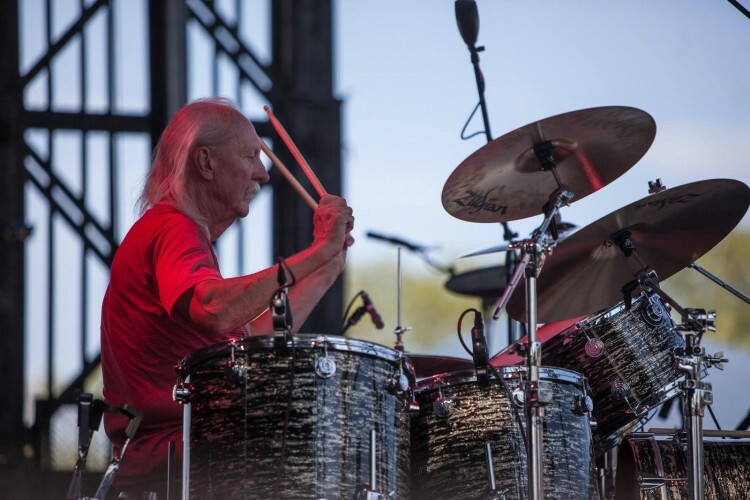 BUTCH TRUCKS is an American drummer who is one of the founding members of The Allman Brothers Band. One of Trucks’ first bands was local Jacksonville band The Vikings, who made one 7-inch record in 1964. Another early band was The 31st of February which formed and broke up in 1968. This group’s lineup eventually included both Duane Allman and Gregg Allman. They recorded a cover of “Morning Dew”, by 1960 folk singer Bonnie Dobson. Trucks then helped form The Allman Brothers Band in 1969, along with Duane Altman (guitar), Gregg Allman (vocals and organ), Dickey Belts (guitar), Berry Oakley (bass), and fellow drummer Jai Johanny Johanson (a.k.a. Jaimoe). Together, the two drummers developed a rhythmic drive that would prove crucial to the band. Trucks laid down a powerful conventional beat while the jazz-influenced Johanson added a second laminate of percussion and ad libitum cymbal flourishes, seamlessly melded into one syncopated sound. Butch continues to be a leading component in the Roots Rock Revival summer music camp. Roots Rock Revival is a four night, five day all-inclusive intensive that features master classes, jam sessions, Q&A sessions, open rehearsals and more. Its an intimate look at the Southern Blues Rock movement, the Allman Brothers Band and the music that forms the foundation of Rock ‘n Roll. Some of the young attendees are often invited to perform with Butch at local gigs.